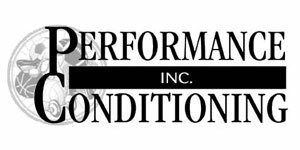 112 pages • $14.95 • Item #SR 125 The very best of Performance Conditioning Soccer covering all aspects of conditioning the soccer athlete at all levels. Featuring 31 authors, provided are detailed, ready-to-use information based on the competencies of the Soccer Conditioning Specialist including: testing, athletic/soccer skills development-with and without the ball speed, power, agility/footwork, balance/stability, mobility/flexibility and recovery/endurance- year-round planning, exercise variables, soccer science, exercise techniques, injury prevention, soccer sports medicine, functional rehabilitation, conditioning tools and their use, nutrition, training motivation, and more-plus how to develop your own Soccer Performance Resource Team at your school or club. Learn from the greatest Soccer Conditioning Specialists in the world!